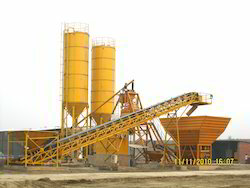 Ready Mixed Concrete Mixing Plant available with following equipment. We are offering RMC Plant. ICBP Series introduces by SUPERMIX, for India & Overseas, indigenous developed Mobile Concrete Batching/Mixing Plant.